Devonhall borders the Shakerag community swim/tennis area on the west. The residents have quick access to the pool, playground, pavilion, newly paved basketball court and walking trails. 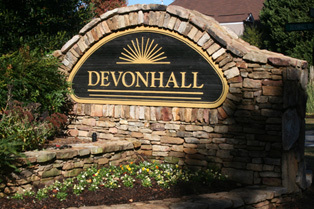 Devonhall is the largest of the four subdivisions with 182 homes.